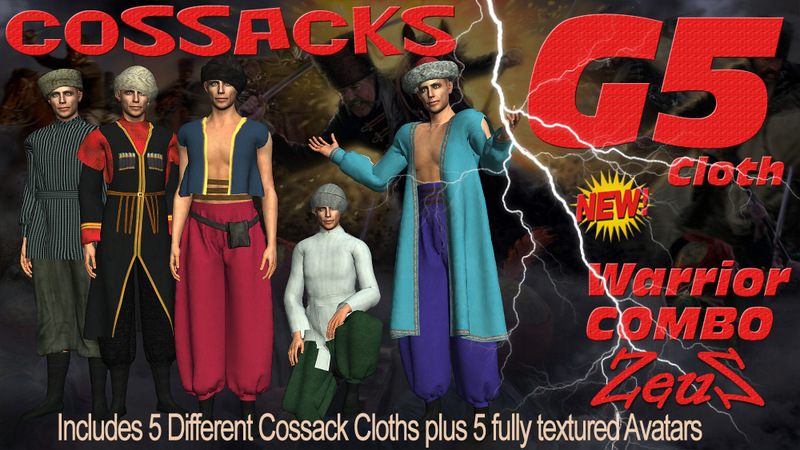 This pack includes 5 new G5 Native Multi-Layer Cloths specially designed for making Cossack Warriors plus 5 fully textured characters. Accessories included. Благодарю. За прямую ссылку отдельное спасибо.